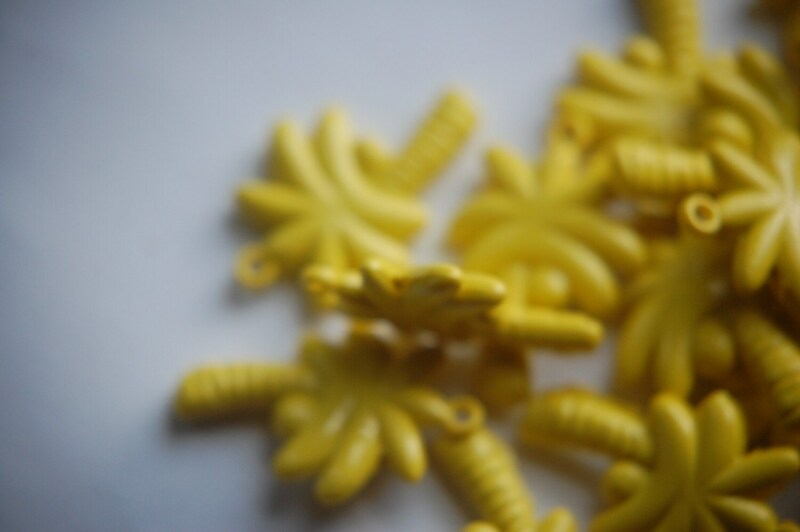 These are vintage bright yellow palm tree charms or beads. 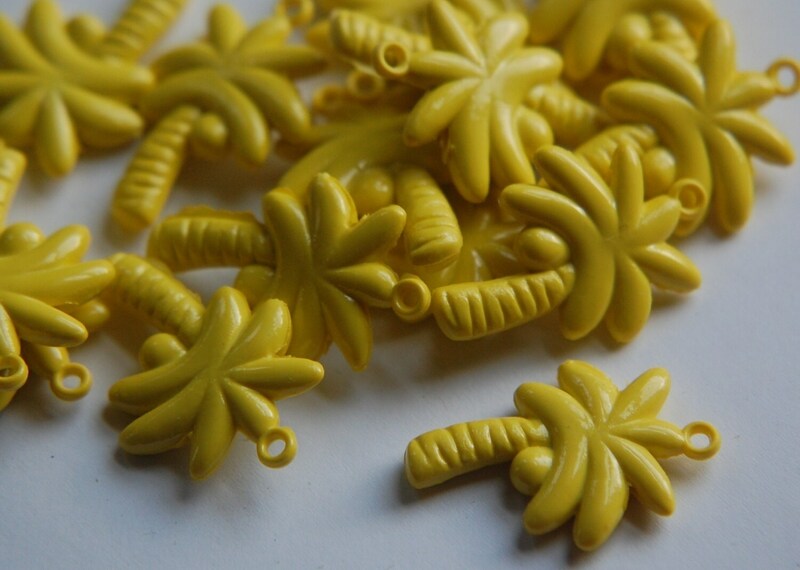 These have a ring at the top to use them as a charm or a beading hole that runs left to right below the first leaf on the tree. These measure 30mm X 21mm. You will receive 8 of these. Fantastic! Love the palm trees!